here are some KM plaques from my collection. 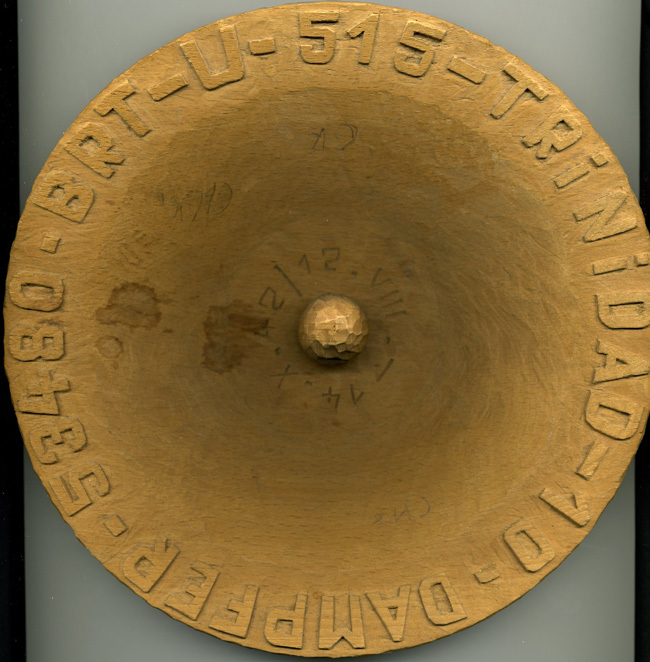 First up is a U-373 shield very similar to the one pictured on page 363 of "Torpedo los!" Interesting that the black cat logo is at the bottom, but 373 was attached to the 3rd flotilla, whose logo was the turtle. 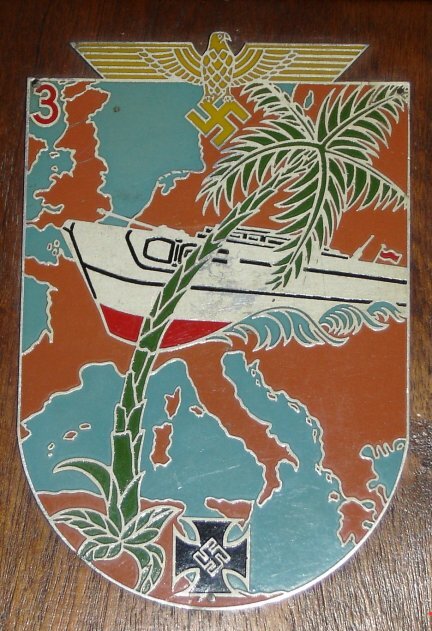 The lion shield on the top left is correct for the boat. 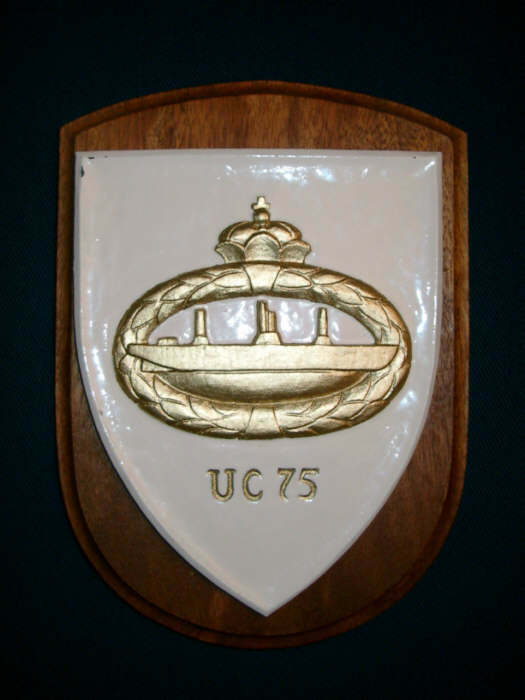 This is a brass U-Boat plaque that came in the grouping with the previous shield for U-373. An oil painting of the boat was the third piece in the grouping. 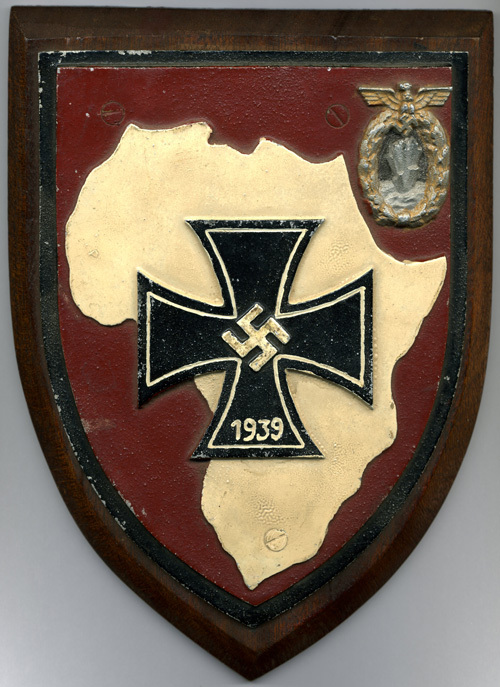 A shield from the Panzerschiff Deutschland. This came with a grouping from Paul Wirtz, who transferred to the U-Bootwaffe and served on U-31 until she was sunk on November 2, 1940. Herr Wirtz was captured and spent the rest of the war in captivity in Canada, and I have a number of his POW effects as part of the grouping. I will post later. Interestingly, U-31 is the only U-Boat to have been sunk twice by enemy action (it was raised and put back into service in July 1940). 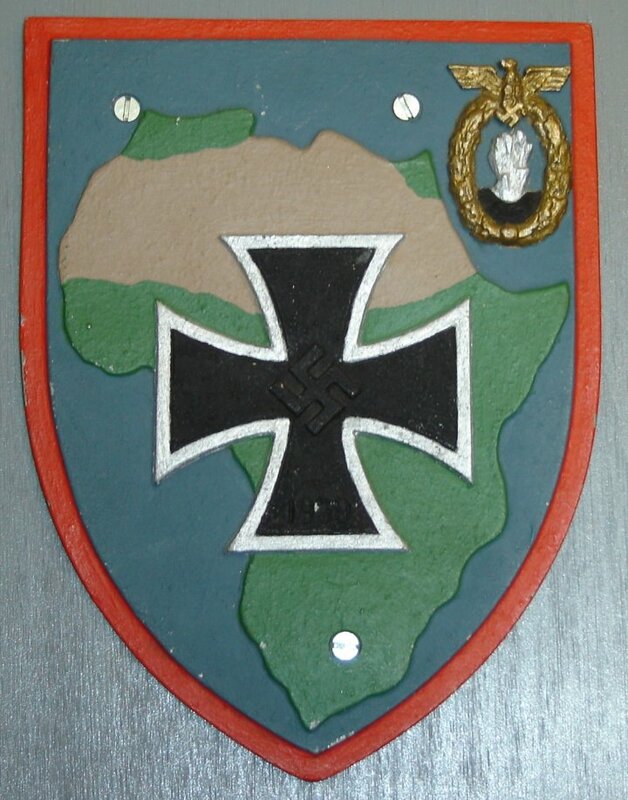 Minesweeper shield with silhouette of Africa. 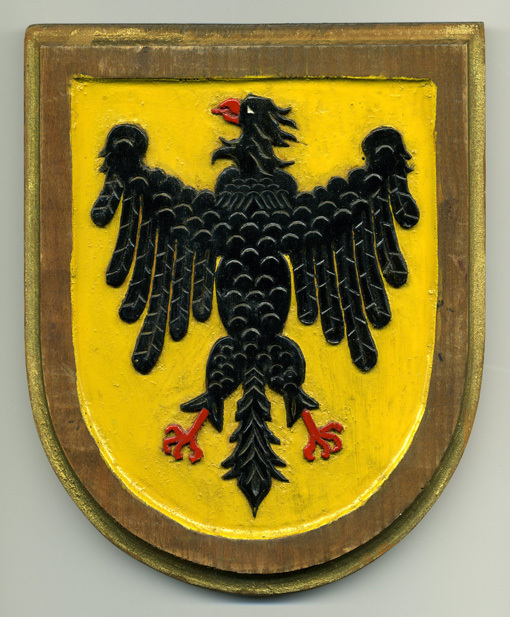 A similar plaque is pictured on page 421 of Angolia/Schlicht "Die Kriegsmarine" Volume 3. 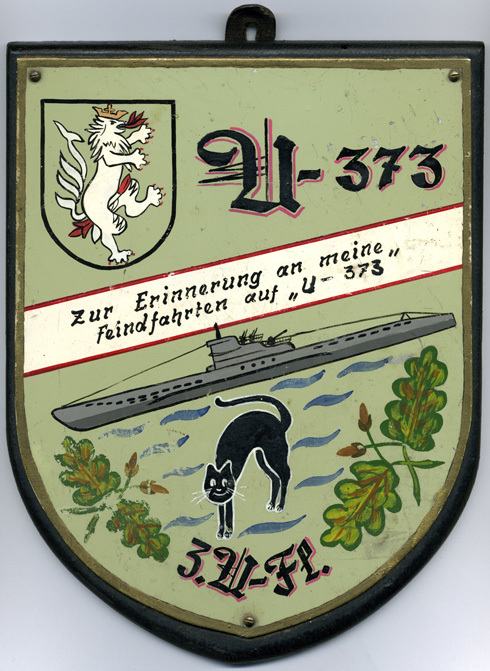 Type XXI U-Boat plaque. This came from a grouping of Funkmeister Herbert Kupfermann, who is pictured on page 105 of "Torpedo los!" (with the pipe). Kupfermann served on U-127, U-653, and U-3038. 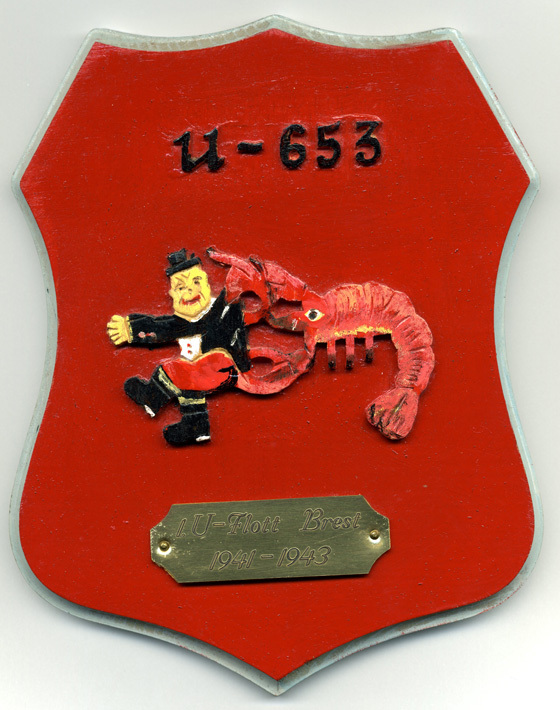 U-653 plaque from the Kupfermann grouping. This looks like it could be post-war. 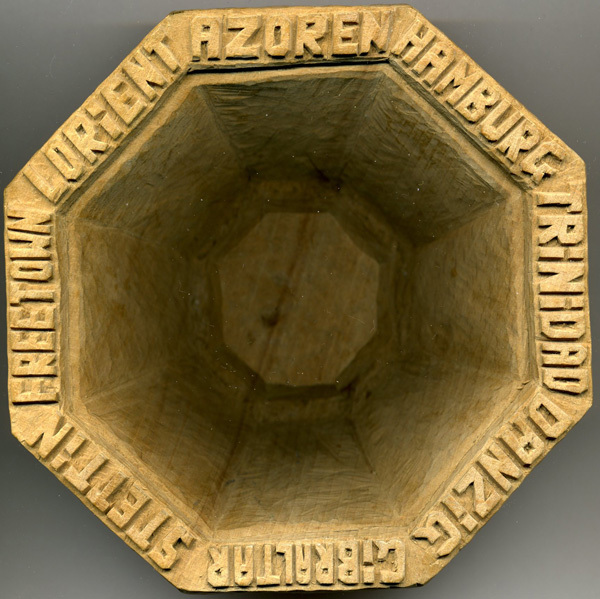 Please excuse my ignorance about things German, but where would these have been hung? Were they for the crew members themselves or were they displayed in the mess? I been a guest at different Canadian Forces Officer's and Sergeant's messes over the years and saw plaques from different regiments displayed there and I am wondering if this was the same sort of tradition in this case. U-515 hand-carved bowl from the boat's first cruise. The dates and sunk tonnage roughly correspond to research in Kenneth Wynn's "U-Boat Operations of the Second World War". I don't have any photographs of actual wartime usage, but my guess is that these plaques would be hung in the mess as well as hung in homes of crew members and families. A smaller bowl from the U-515 set. These items are attributed to the boat's LI. Interesting items Erik and i would imagine very rare. I would also presume that they were produced in small numbers and not mass produced? Thanks for the post. Most of these plaques were hand-made or were produced in very limited quantities. Of course its difficult to verify authenticity since they are mostly unique. I try to get them in groupings, which seems to give their period credentials some veracity (at least to me). 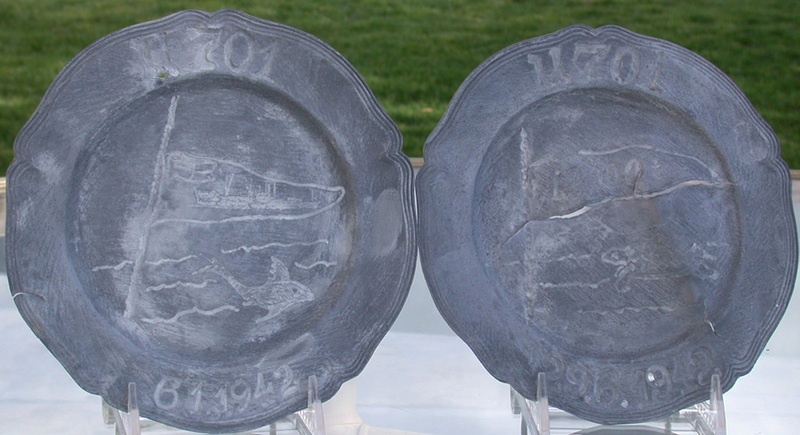 A pair of U-701 commerative plates. Although both of these plates are damaged, they are nonetheless interesting for the sinkings that they commerate. The boat's logo (a fish) and the logo of the 3rd U-Flotilla (turtle) can be seen as well as "kill pennants". 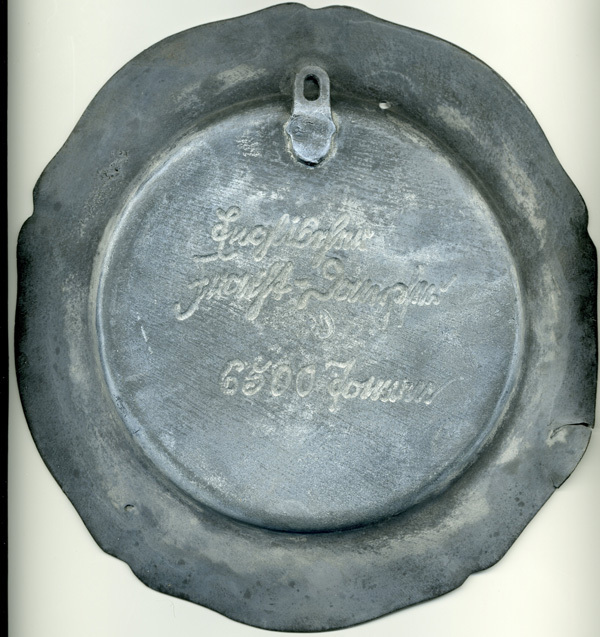 Plate for sinking the SS Baron Erskine on January 6, 1942. 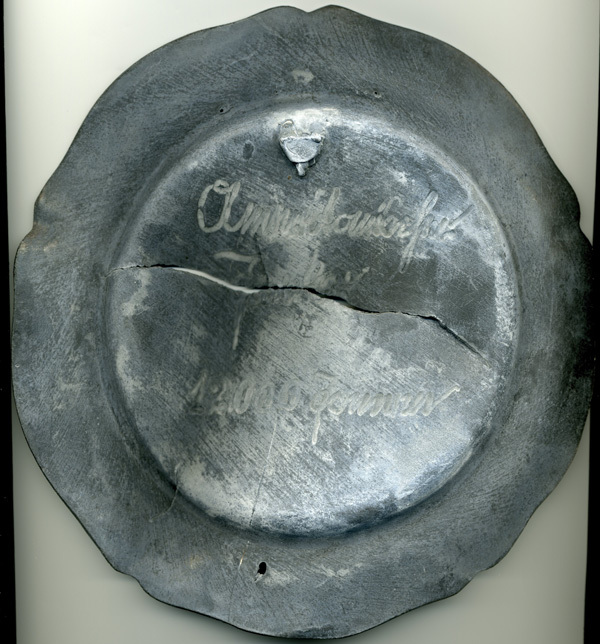 Revese of the SS Baron Erskine plate. The tonnage was a bit exaggerated (the correct tonnage was 3675 according to Wynn). 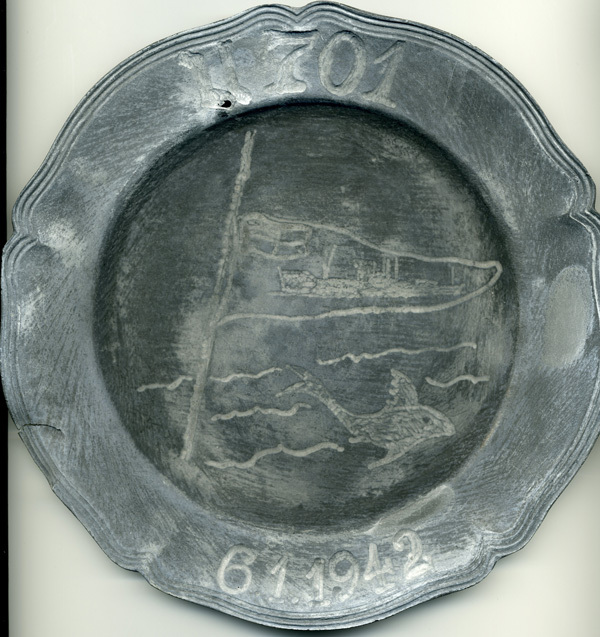 Plate commemorating the sinking of SS William Rockefeller on June 29, 1942 (Wynn marks this date as June 28). 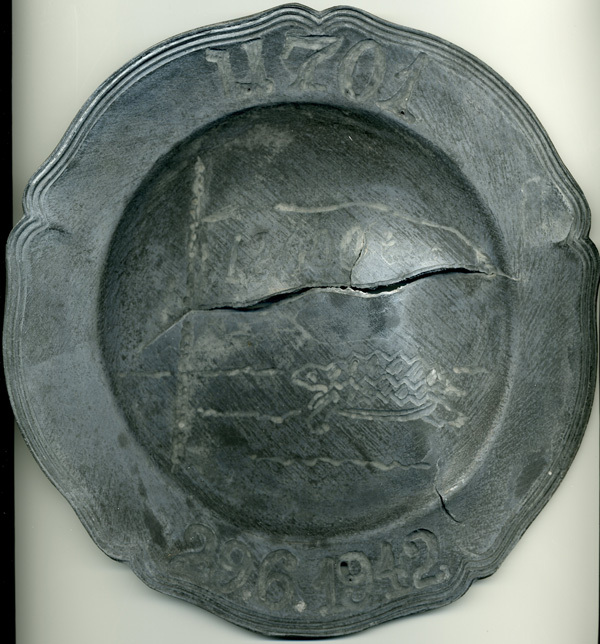 Reverse of the SS William Rockefeller plate. Really quite fascinating. I personally did not realize that these traditions and plaque makings would have existed. Thanks for sharing. The U-515 is most interesting in my opinion. You have quite a collection of rare and beautiful U-boat/KM memorabilia. From these to the Tradition badges. I am always in awe. with your items. Erik, another version of this plaque, apparently re-painted at some point in time. Thanks for your kind words, Justin. I really like the personal handmade items, particularly traditions badges - they help tell the story of what life must have been like on the boats. U-515 has always been a most interesting boat for me, particularly after reading "Lone Wolf" by Timothy Mulligan awhile back. We seem to have the same collecting tastes! 12th war patrol badge, U-170 soldbuch, and now this. You always seem to one-up me ;-) Thanks for posting. great plaques. Some i never saw befor. Here is my only plaques. on the Hamburger Vulcan Werke.